Thomas Chaloner was a talented diplomat and scholar who served under four Tudor monarchs. 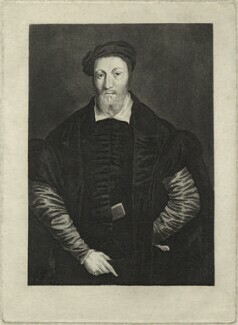 He survived shipwreck off the cost of Algeria in 1541, and was knighted after fighting in England's defeat of the Scots at the Battle of Pinkie, 1547. 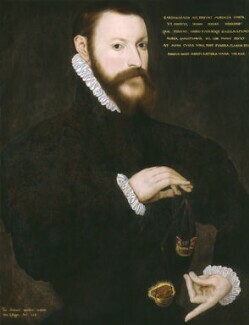 He contributed to the unsuccessful marriage negotiations between Elizabeth I and Prince Maximilian of the Holy Roman Empire, 1558. 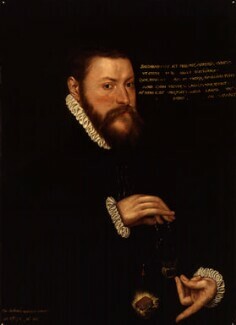 In 1559-60 he was ambassador to Philip II in Flanders and served as Ambassador to Spain, 1562-1565. He is primarily remembered today as the first English translator of Desiderus Erasmus's Praise of Folly, 1549.